The higher you go the thinner the air. Simple enough. However, most people aren’t used to life in the thin air. 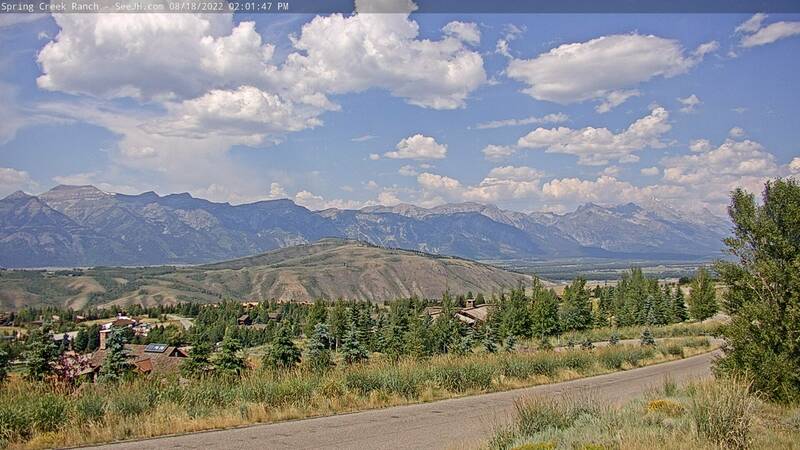 Jackson, Wyoming sits at a staggering 6,237 feet high – that’s over a mile above sea level. Although the view is better from up here, it can take some visitors a few days to adjust. Let’s take a look at a few high altitude tips to help you acclimatize safely and fully enjoy your high altitude vacation. What is Acute Mountain Sickness or AMS? Acute Mountain Sickness or AMS are symptoms that result from ascending in altitude too quickly. Typically, these symptoms occur above 8,000 feet, however, if you’re coming from sea level it is possible to have some symptoms of AMS at lower altitudes. And while Jackson sits at 6,237 feet, some of the places you may be visiting on your trip to Jackson are even higher. AMS is a fickle animal, it may not affect you at all, or it can strike even the toughest of mountaineers with little warning, so don’t feel bad if you experience some trouble. It is fairly common for people to experience a few of these symptoms upon arriving at higher altitudes, especially if they have never been that high or spend most of their time around sea level. With proper acclimatization, symptoms that do show up, usually fade away after a day or so. Although there are ways to prevent AMS, the only real treatment is to head to lower elevations. If gone unchecked, AMS can quickly deteriorate into more violent versions of the symptoms above. Therefore, it’s really important to use caution, be proactive and listen to your body when traveling at altitude. Upon arriving in Jackson, the increased altitude can be a shock to the system, especially if you flew in. Existing over a mile high above the sea means there’s less air to breathe and your red blood cells (that distribute oxygen throughout your body) quickly go into overdrive to make up for the lost oxygen. Take it easy the first day or two. Don’t plan any strenuous activities, instead opt to relax by planning a spa day or simply soaking in the views on our wonderful property. The higher you go, the less moisture the air can hold. This means that mountain air, although refreshing and invigorating, tends to be on the dry side and can cause dehydration. Be sure to stay extra hydrated and drink more water than normal. Always carry a water bottle with you so you can drink steadily throughout the day. A good rule of thumb is at least two liters (three is best), but you should drink small amounts often. If you’re feeling thirsty, chances are you’re already starting to get dehydrated so bottoms up! Everyone loves to enjoy a nice cocktail with a breathtaking mountain view, but pump the breaks. Avoid alcohol and caffeine for the first day or so as you adjust to the altitude. Both alcohol and caffeine bind oxygen and water, negating the effects of hydrating and robbing you of much needed oxygen. Therefore, it’s best to keep it sober and caffeine-free for the first day in order to give your body a chance to adjust to its new environment. If you’re struggling with the thin air, opt to add a little garlic to your meal. This life-giving flavor not only tastes yummy, but it also promotes blood flow. As a result, those red blood cells can reach your body faster, enabling you to get much needed oxygen. Many cultures that exist at high altitude rely on garlic as a part of their everyday diet to help combat the effects of altitude. It’s a little mountain wisdom that goes a long way. If you plan on hiking or climbing to a peak or pass, build in extra time to ascend gradually. Give your body time to adjust. If you’re used to hiking at lower elevations, be aware that hiking in the mountains takes your breath away – both figuratively and literally. Be sure to give yourself plenty of breaks, stay hydrated and slow your pace. It helps to time your steps with your breath to avoid overexertion. The best part about vacationing at high altitude is the benefits strongly outweigh the potential acclimation challenges. Most people who follow these tips don’t have any sustained problems while visiting Jackson, Wyoming. If you do feel like the altitude is getting the best of you, slow down, drink some water and rest. Remember, you’re on vacation! Acclimatizing to high altitude can take a couple of days and then you will be on your way for many amazing mountain adventures.